Many people do not know that there are large differences between lenses, but like any product, there are very different qualities. We test the performance of ophthalmic lenses, preferring to check our facts, rather than rely on what we are told by manufacturers. This means we are well placed to make recommendations. Everyone's eyes are unique in how they look to others and how they see the world. It is for this reason that we do best with lenses that are not compromised in their design to be of some use to as many people as possible. Better lenses have complex surface designs to give the prescribed power over a wide area, so your eyes can see naturally. We routinely use advanced surface treatments to protect against scratches and reduce glare. 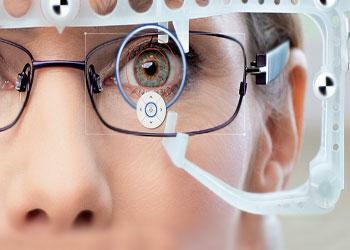 When necessary, we can advise on how lenses can be made thinner and flatter. This improves their appearance and makes wearing them more comfortable. All of our lenses are finished by hand using a traditional polishing wheel and carefully inspected before issue. ZEISS are the world's leading manufacturer of precision optics, and their lenses guarantee the highest level of visual comfort. Johnson & Furze are regional specialists, and this gives us exclusivity on their premium lenses and cost-savings across their range that we pass on to customers, although our independence means that we are not limited to one lens manufacturer. We use the i.Terminal centration device to supplement traditional methods of dispensing. The technology digitally captures 7 fitting-parameters for optimal lens performance and to allow for advanced lens customisation: Frame dimensions - Interpupillary distance - Monocular pupillary distance - Fitting height - Back vertex distance - Pantoscopic angle - Wrap angle. 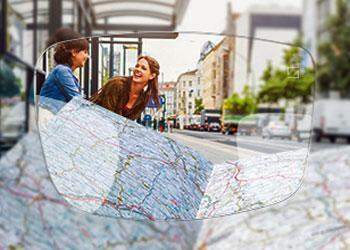 Whether you need lenses for reading or distance vision, precisely fitted single vision lenses are a must. 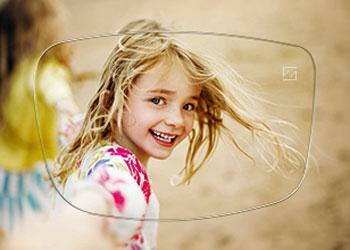 Better quality lenses minimise off-axis aberrations, allowing more natural vision over the width of the lens. Modern technology can produce extraordinarily flat and lightweight lenses, even for high prescriptions. 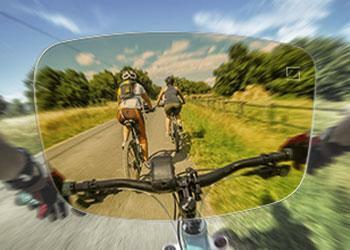 Progressive lenses offer clear vision from near to far, and everything in-between. The lens design is of key importance. It must be exactly tailored to you and your visual habits. We look at our smartphone or other mobile device many times a day, and rapidly shifting our focus from near to far, and back again, can lead to tired eyes, muscle tension or even a headache. 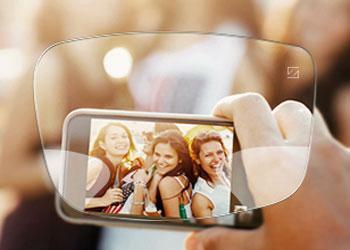 Digital lenses put an end to digital eyestrain - even after hours with your smartphone or tablet. Reading glasses and progressive lenses are not the best solution for people who spend much of their day working in front of a screen because they lead to neck, back and shoulder pain. 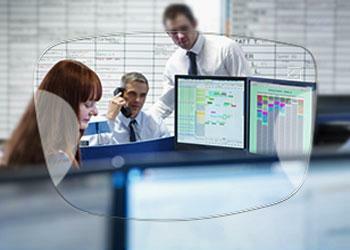 Workplace lenses are a better choice because they offer a large field of vision at close and intermediate distances, giving you an unimpaired view of the screen while favouring a natural posture and sitting position. In addition to reliable UV protection, sunglasses can reduce glare and enhance contrast. They also offer more than just good vision - they stand for fashionable style and underscore your own personal image. You can indulge your passion for colours: single-colour tints, graduated tints, or an individualised colour to match your outfit. Wrapped sports glasses presents special challenges for optical optimisation and lens production. To perfectly incorporate each wearer's personal prescription, leading-edge technology is required to prevent the inevitable aberrations resulting from the curved lens that is often angled obliquely to the eye.